Click on the event to change its name, dates, assigned it to people or open it in the project board. 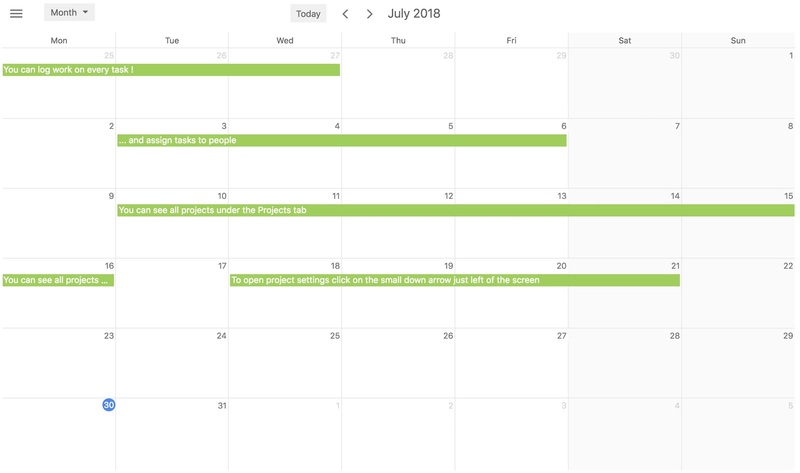 You can create tasks and assign them to people directly from the calendar view. Click on the day square to add a new task. 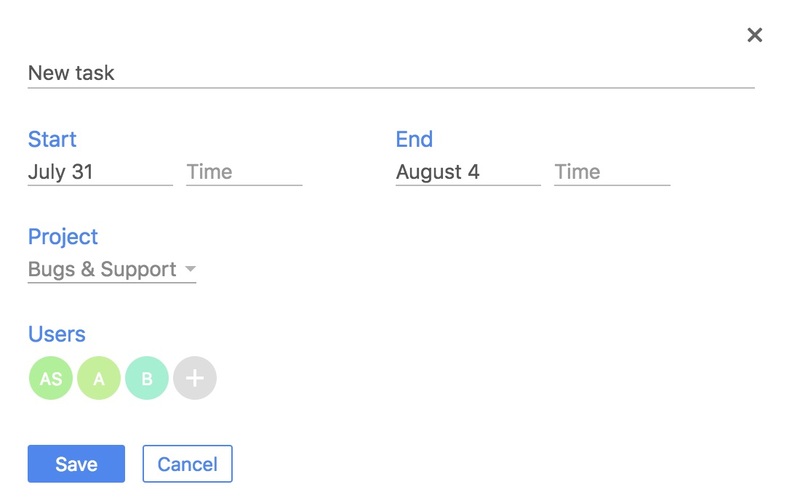 You can also set start date and end date automatically by selecting a range in the calendar.